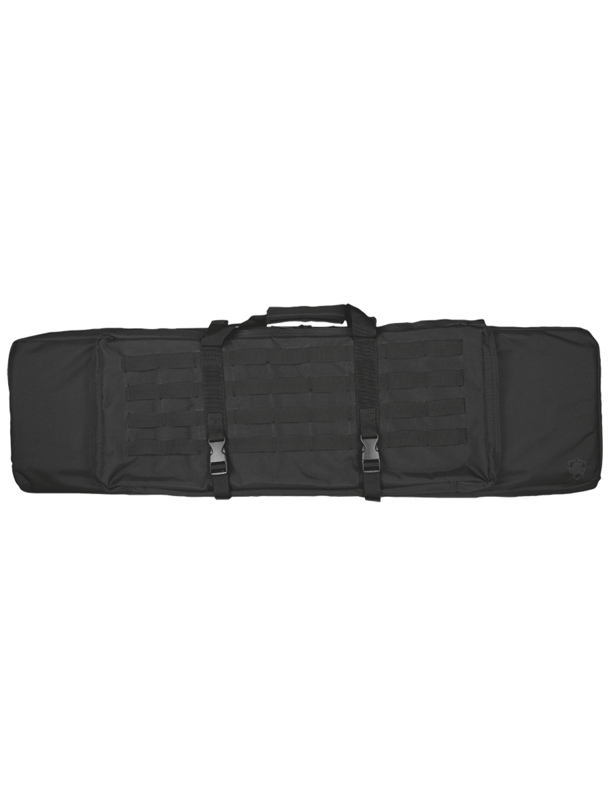 The 5ive Star Gear® PWC-5S 42” Multi-Gun Cases are made with a rugged and durable ballistic weave material. It is designed to fit weapons up to 42” and contains two internal padded pistol pockets with hook and loop closure. The main compartment includes a padded center divider allowing for two weapons to be carried at the same time securely. It includes a padded fully adjustable and removable shoulder strap and other carry options include reinforced double carry handles, with a comfort close strap, or the drag handle for quick retrieval. 42.5" x 12" x 5"